specifically; Jefferson, Dane, Waukesha, Dodge and Walworth Counties. With over 30 years experience in the Real Estate world, Laura brings a wealth of knowledge to her profession. With her background in small business, owning rentals and a highly successful Home Staging & ReDesign company, as well as; her interests in landscaping and photography; Laura provides buyers and sellers with a tremendous edge in the buying and selling process! 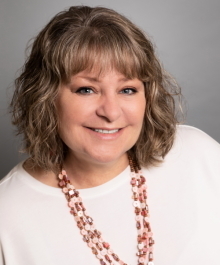 As a Wisconsin Residential Real Estate Specialist she can assist you with the purchase and/or sale of real estate in the South Central Wisconsin area; or with her vast referral base, any place in the country by connecting you with a relocation professional in your destination of choice! Thinking about selling your home? Laura will provide you with a FREE Home Market Analysis and guide you through the Home Selling Process. She's trained to help you Price your Property Right and sharing with you the Sellers Guide which is chuck full of information that will help you get the most you can for your house! With this and all the knowledge and experience she brings, you are sure to attract the best prices in the shortest amount of time. Ready to start looking for a home? As an accredited Buyers Agent Laura will represent you throughout the Home Buying Process. She is trained to help you Search for Homes that meet your needs and will provide you with The Buyers Guide. Create Your Home Search Here. To Keep up on all that is Real Estate, Register here for my quarterly Newsletter. Laura Baker has been in the South Central area of WI most of her life, raising her children and her grandchild here. Her love of her family and this area, has her volunteering at their schools and the Jefferson Food Pantry. She also volunteers her time to the Jefferson County Board of Realtors, helping the community of Realtors as well. Home Staging Member; Real Estate Staging Association, APSD Certified Professional Stager in Residential, Luxury Homes, Commercial Properties and APSD, Sherwin Williams and Clark-Kensington Certified Paint Color Consultant.